Senate Foreign Relations Committee Chairman Bob Corker, R-Tennessee, says that the Trump administration has "clamped down" on intelligence regarding the disappearance of Saudi journalist Jamal Khashoggi inside the Saudi consulate in Istanbul. He told the Washington Post that an intelligence briefing scheduled for Tuesday had been canceled and for the time being, there would be no more intelligence shared with the Senate. Capitol Hill staffers confirmed to CBS News that a larger planned briefing had been cancelled, but they said that the White House is still briefing individual lawmakers and staffers on developments in Khashoggi's case. Senate Minority Leader Chuck Schumer, D-New York, received a briefing on the case Wednesday. The Senate Select Intelligence Committee, however, is not subject to the clamp-down, an aide to the committee told CBS News. This committee has differing levels of access in order to conduct oversight. President Trump met with Secretary of State Mike Pompeo Thursday following Pompeo's fact-finding trip to Riyadh and Ankara. Afterward, Pompeo said that the U.S. anticipates a "complete, thorough investigation in a timely fashion." And he said he advised Mr. Trump to give the Saudis "a few more days" to conduct their investigation. Pompeo also pointed out that the U.S. has had a "long strategic relationship" with Saudi Arabia, and "we need to be mindful of that" in this process. He also called the kingdom an "important counterterrorism partner." 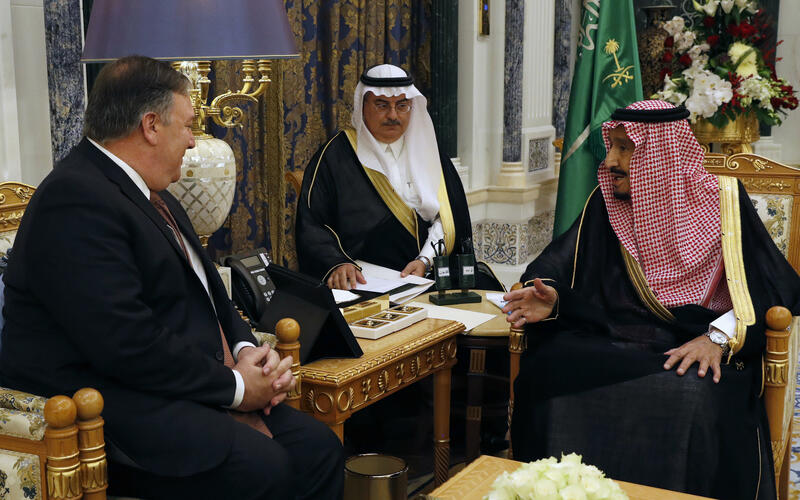 Upon his return Wednesday, Pompeo told reporters in Riyadh that Saudi leaders had committed to hold "anyone connected to any wrongdoing that may be found accountable for that, whether they are a senior officer or official." He admitted he had learned little from the Saudi royals about what had happened to Khashoggi, who entered the Saudi consulate on Oct. 2 and never left. Turkish reports have said that Khashoggi was killed and dismembered by a team of Saudis inside the consultate, and the matter is being investigated by Turkish authorities and by Saudi Arabia. Former Vice President Joe Biden criticized President Trump for his leniency toward Saudi Arabia, saying Mr. Trump "seems to have a love affair with autocrats," in an interview with "CBS This Morning" co-host Norah O'Donnell. "I just don't know why this administration seems to feel the need to coddle autocrats and dictators from Putin to Kim Jong Un to you know Duterte. I don't understand it," he said. Biden said that his doubts about Saudi Crown Prince Mohammed bin Salman have "been confirmed." The Turkish government believes that Khashoggi was killed on the orders of the Saudi government. "My doubts are that there's very little sense of rule of law, respect for human rights, dignity," Biden said. "The allegations that are made so far ... are not inconsistent with the way the kingdom would act." Kylie Atwood and Alan He contributed to this report.